In this week’s installment of our recurring series bringing you the history of Princeton University and its faculty, students, and alumni, police arrest 31 protesters, Woodrow Wilson is inaugurated Princeton’s president, and more. October 22, 1945—At a brief ceremony in the Faculty Room of Nassau Hall, Princeton’s president, Harold W. Dodds, confers 20 undergraduate degrees, but only 11 graduates are present to receive their diplomas in person. Nicholas Katzenbach ’44, who completed his coursework in a Nazi prison camp, is among those who receive their degrees in absentia. With the exception of a World War II ceremony in which only four degrees were conferred, this is believed to be the smallest Commencement at Princeton since the 1750s. 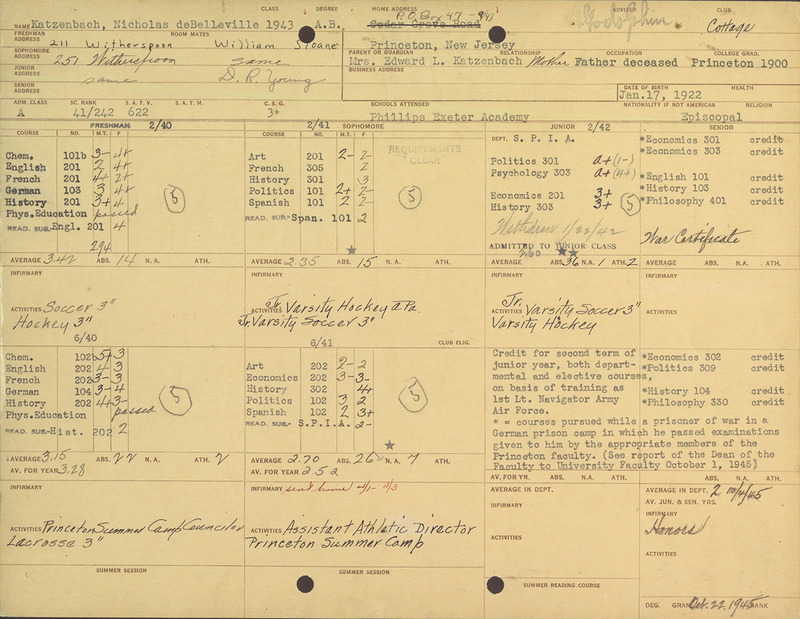 As can be seen on this grade card for Nicholas deBelleville Katzenbach, originally a member of the Class of 1943, he had an unusual junior and senior year, with asterisks noting courses for which he received credit for work “pursued while a prisoner of war in a German prison camp…” (Click to enlarge image.) Undergraduate Academic Records 1921-2015 (AC198). In this week’s installment of our ongoing series bringing you the history of Princeton University and its faculty, students, and alumni, the Liberty Bell is in town, the first woman earns a Princeton degree, and more. June 13, 1878—A member of the Class of 1878 writes that he is disappointed by the College of New Jersey (Princeton)’s invitation to U.S. President Rutherford B. Hayes to speak at Commencement, saying his appearance would dishonor the graduates and Commencement would be “made subservient to outsiders.” It is ultimately a moot point; Hayes declines the invitation. 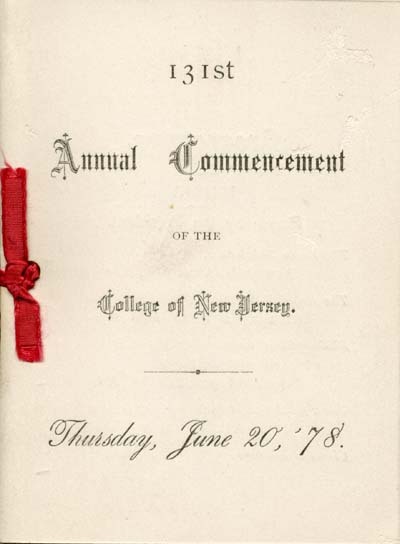 College of New Jersey (Princeton) Commencement Program, 1878. 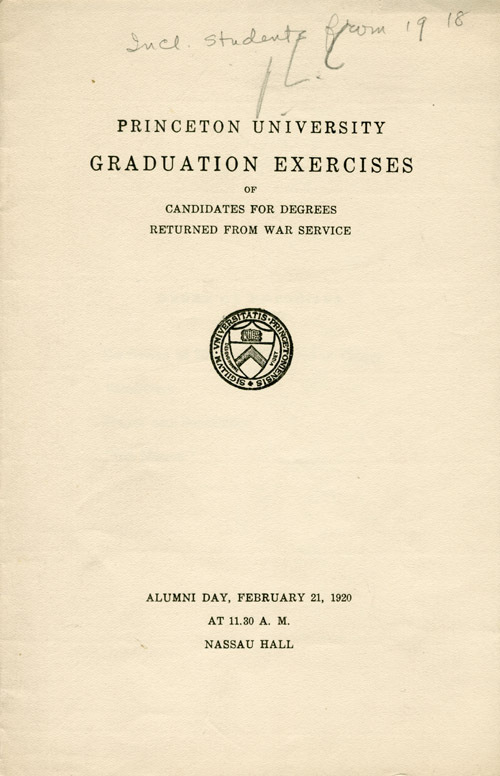 Princeton University Commencement Records (AC115), Box 2, Folder 18. In this week’s installment of our ongoing series bringing you the history of Princeton University and its faculty, students, and alumni, Commencement is held without predicted problems, a senior praises William Howard Taft, and more. June 5, 1978—Princeton University’s Board of Trustees votes to include coverage for abortion under the student health insurance plan. 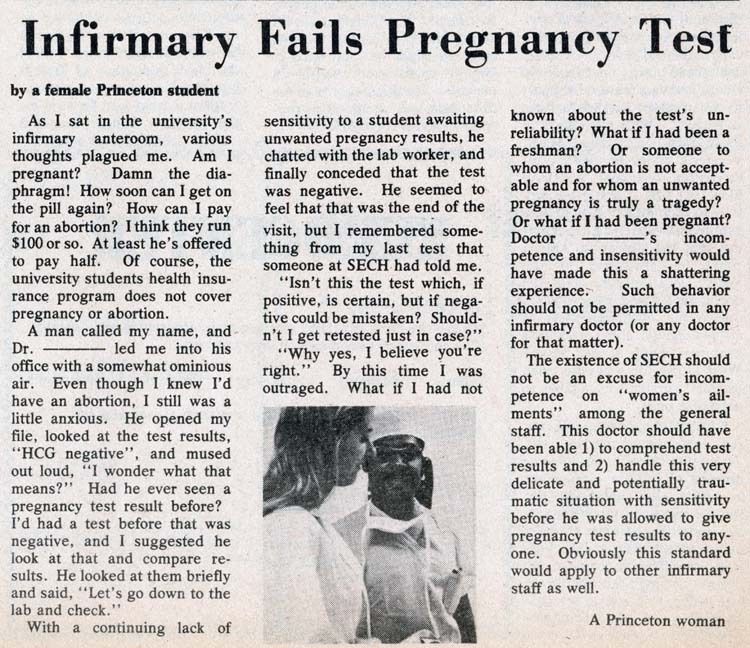 This article by an anonymous female Princeton University student details her experiences with health care prior to the decision to cover abortion under the student health plan (Princeton Forerunner, November 30, 1976). In this week’s installment of our ongoing series bringing you the history of Princeton University and its faculty, students, and alumni, a Supreme Court justice visit ignites protest, the women’s squash team completes eight undefeated seasons, and more. February 21, 1920—Princeton University holds a special graduation ceremony for students who missed their own but have now returned from war. Princeton University Commencement Records (AC115), Box 6. 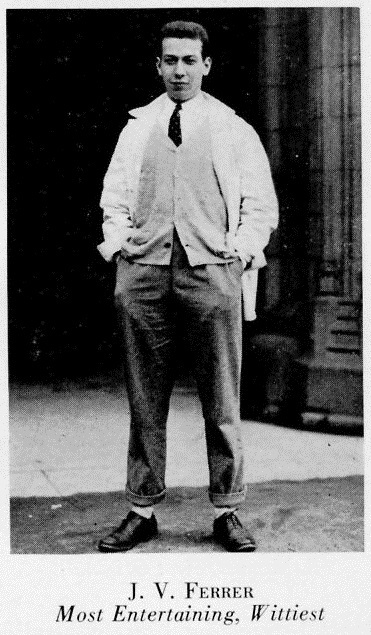 In this week’s installment of our ongoing series bringing you the history of Princeton University and its faculty, students, and alumni, Presbyterians worry about drinking, the campus operator has a bit less to do, and more. July 27, 1937—William H. Smathers, who represents New Jersey in the U.S. Senate, writes a response to a letter from one of its professors, William Starr Myers, that makes headlines for its vitriol: “Your letter … convinces me that you are unfit to come in contact with youngsters and confirms my suspicion that ‘dear old Princeton’ would be a bad place to send my two boys who were born and raised in New Jersey. I would not want one of my sons to come under the influence of a mentality so small and so warped…” Myers wrote to Smathers to criticize him for voting in favor of expanding the Supreme Court to 15 justices as Franklin Delano Roosevelt had proposed. 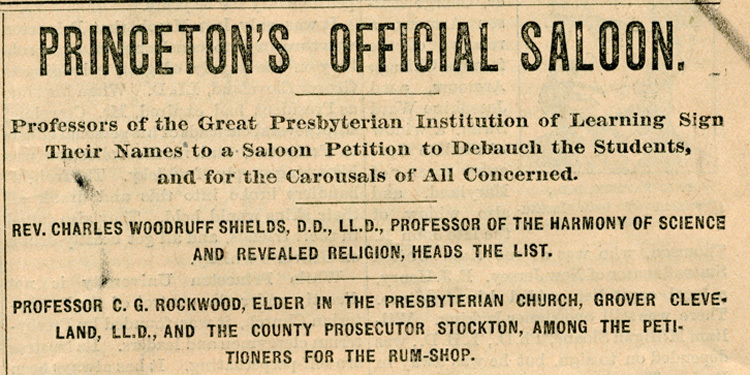 July 29, 1897—The Prohibitionist New York Voice derides Princeton University for employing faculty who have signed a petition for a liquor license for the Princeton Inn, which they identify as the school’s “official grog shop”. Headline from the New York Voice, July 29, 1897. Historical Subject Files (AC109), Box 343, Folder 2. In this week’s installment of our ongoing series bringing you the history of Princeton University and its faculty, students, and alumni, a sitting U.S. president gives the Commencement address, a judge tries to get information about damage to Nassau Hall, and more. 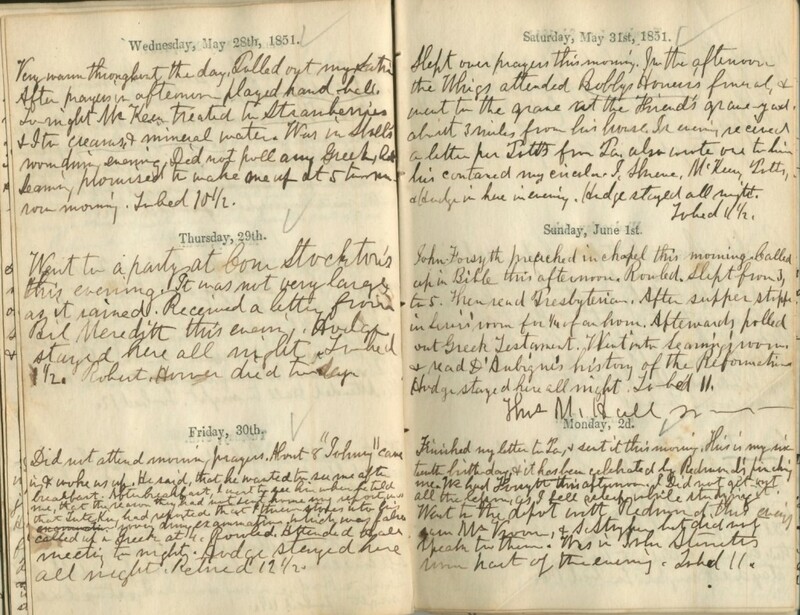 June 2, 1851—Thomas Mifflin Hall, Class of 1853, celebrates his sixteenth birthday at Princeton by attempting to do some work for class: “I did not get out all the lesson, as I fell asleep while studying,” he notes in his diary. Thomas Mifflin Hall’s diary entry for June 2, 1851. Student Correspondence and Writings Collection (AC334), Box 10. 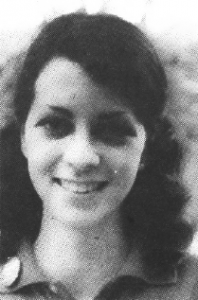 June 3, 1980—Princeton sophomore Lynda M. Clarizio ’82 casts her vote as a delegate in New Jersey’s fifth congressional district for Senator Ted Kennedy for U.S. President. She was one of eight Kennedy supporters selected from 37 contenders at the April 13, 1980 convention in Bridgewater, New Jersey. Lynda Clarizio. Photo from Daily Princetonian. 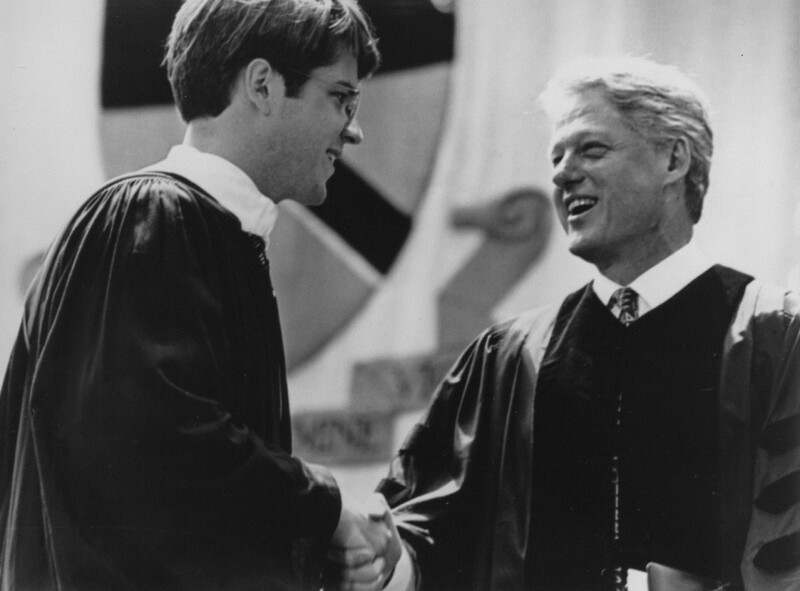 Charles P. Stowell ’96 shakes hands with U.S. President Bill Clinton at Princeton’s 1996 Commencement. Office of Communications Records (AC168), Box 170. June 6, 1828—A Middlesex County judge begins an inquiry into a firecracker explosion in a Princeton classroom on May 28, which destroyed its stove and blew out its windows. The faculty minutes note: “three students being called before him, refused to give testimony, avowing their determination to go to jail, rather than be placed under oath at this time.” The judge orders them to return at a later date. Ultimately, a student will anonymously confess and send $150 to cover the damages, and the matter will be dropped. In this week’s installment of our ongoing series bringing you the history of Princeton University and its faculty, students, and alumni, an Oscar winner dies, the University holds a winter Commencement to send students off to war more quickly, and more. January 26, 1992—Jose Ferrer ’33 dies at the age of 80. 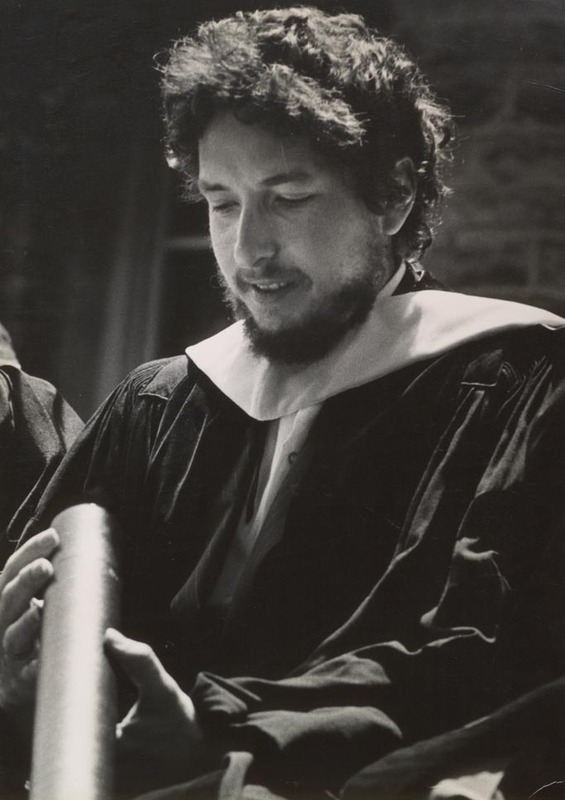 Though best known for his Oscar-winning portrayal of the title character in Cyrano de Bergerac in 1949, he had already made an impression on Princeton. The Class of 1933 named him the “Most Entertaining” and “Wittiest” among them upon graduation. Like his friend James Stewart ’32, Ferrer was an architecture major who got his start in show business through involvement in Triangle Club. Jose Ferrer was named “Most Entertaining” and “Wittiest” by the Class of 1933 (photo from 1933 Nassau Herald). January 27, 1934—An Ice Carnival held in Baker Rink raises $900 for charity, which is donated to the Princeton Nursery School. 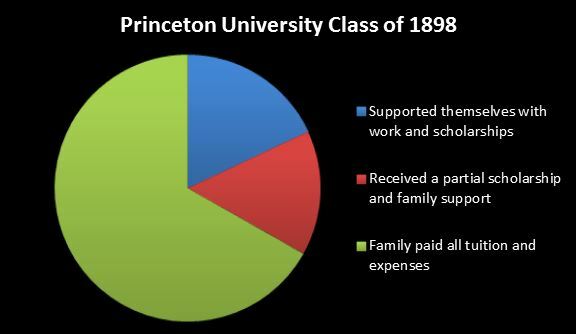 For last week’s installment in our ongoing series bringing you the history of Princeton University and its students and alumni, click here. George Washington attends Commencement, Dr. Patch Adams speaks in McCosh 50, and more. September 23, 1946—A record-breaking 2,350 people attend the University’s bicentennial Convocation in the Chapel, with a sermon by the Archbishop of Canterbury. 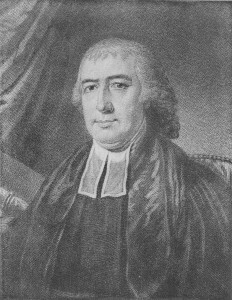 September 24, 1783—College of New Jersey (now Princeton University) Class of 1783 Valedictorian and future College President Ashbel Green gives an address to a Commencement audience that includes George Washington and the Continental Congress. Portrait of Ashbel Green by an unknown artist. 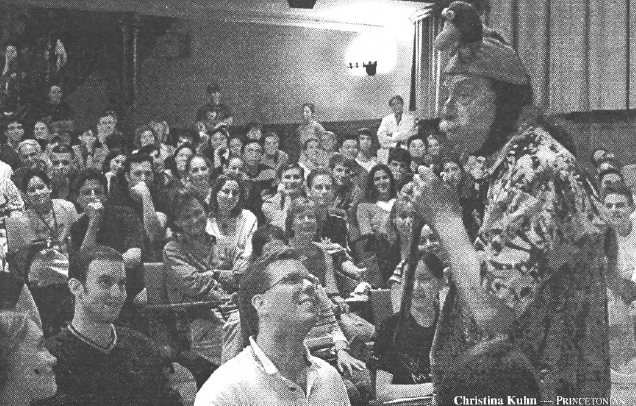 September 25, 2002—The doctor made famous by Robin Williams’ portrayal of him in the eponymous Patch Adams speaks to a packed audience in McCosh 50. Dr. Hunter “Patch” Adams addresses the crowd in McCosh 50. Photo from the Daily Princetonian.